The 'death of painting' and its subsequent resurrection in transformed conditions is an oft-rehearsed leitmotif of the modernist era, yet from the postconceptual painting revival of the early 1980s to the present new perspectives have emerged that reopen the entire field, not only globally but historically beyond the past century. The diversity of meanings and practices signified by painting today can encompass the eclecticism associated with net-surfing and the philosophical naming as 'painting' of artworks that manifest no trace of paint. 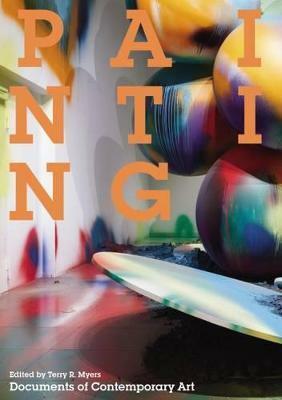 This is the first anthology to bring together key statements, dialogues and debates by artists and writers on art that have been building blocks of the latest era in painting's history. Predominantly first published in magazines, journals and catalogues, these texts recontextualize polarized debates and reignite questions for the future. Tracing the story from the 'neo' revivals onward, this collection also ranges widely across ideas and practices of the preceding decades as they have been re-evaluated by artists and theorists in the frame of contemporary ideas.Artists surveyed include Glenn Brown, Vija Celmins, John Currin, Marlene Dumas, Olafur Eliasson, Bernard Frize, Katharina Grosse, Andreas Gursky, Peter Halley, Gary Hume, Jutta Koether, Paul McCarthy, Suzanne McCleland, Beatriz Milhazes, Takashi Murakami, Albert Oehlen, Lari Pittman, Sigmar Polke, Gerhard Richter, Robert Ryman, David Salle, Cheri Samba, Jim Shaw, Jessica Stockholder, Philip Taaffe, Luc Tuymans, Jeff Wall and Sue Williams. Writers include Daniel Birnbaum, Norman Bryson, Douglas Crimp, Gilles Deleuze, Sebastian Egenhofer, Hal Foster, Jeremy Gilbert-Rolfe, Isabelle Graw, David Joselit, Shirley Kaneda, Geeta Kapur, Thomas Lawson, Midori Matsui, Lane Relyea, Rene Ricard, Jerry Saltz, Mira Schor, Barry Schwabsky and Adrian Searle. Introduction; Painting; Biographical Notes; Bibliography; Index; Acknowledgements. "This superb collection of newly classical writings proceeds from the virtual end of painting in 1981 to its many re-emergences, all the more vital each time. Whether an individual text questions, explains or marvels at what painting can do, each merits attention, even a painter's attention." - Richard Shiff, Professor of Modern and Contemporary Art of Europe and America, University of Texas at Austin "The great number of young artists who set out each year to become painters should long ago have put to rest conversations about the so-called death of painting. But this debate has been far too evocative for the art would simply to let it go, as Terry R. Myers points out in his introduction to this superb collection of iconic essays by artists and writers. His curated volume is full of revelations, demonstrating that it is the tension between the desire for painting and the theoretical arguments it provokes that continues to keep us intellectually and visually enthralled. This terrific anthology lays it all out." - Carol Becker, Dean of Columbia University School of the Arts, author of Thinking in Place: Art, Action and Cultural Production. Terry R. Myers is a Chicago and Los Angeles-based writer, educator and independent curator. A regular contributor since 1988 to numerous international journals, including The Brooklyn Rail, Art Review, Parkett, and Modern Painters, he is the author of Mary Heilmann: Save the Last Dance for Me (Afterall Books, 2007). He is Associate Professor of Painting & Drawing at The School of the Art Institute of Chicago.